Carrefour has collaborated with WDP for two new locations - Deva and Brazi - with a total area of ​​about 80,000 square meters, representing an investment of approximately 40 million euros. At Deva, the French retailer will open a distribution center to supply its supermarkets, the completion of the site being scheduled for the last quarter of 2019. The project is at the junction between the A1 motorway and E79 road, between Bucharest and Timisoara, and has an area of ​​approximately 45,000 mp. At the same time, WDP bought from Carrefour a 23,000 sq m warehouse from Brazi (near Ploiesti), which the retailer will rent for another ten years. WDP will expand this warehouse by another 11,000 sq m, with delivery expected in the third quarter of 2019. This warehouse will include a temperature controlled area. 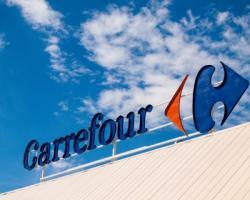 In Romania, the Carrefour chain now numbers over 321 stores, under the Carrefour, Market, Express and Contact banners.